A Komodo Dragon sniffs the air with its tongue. 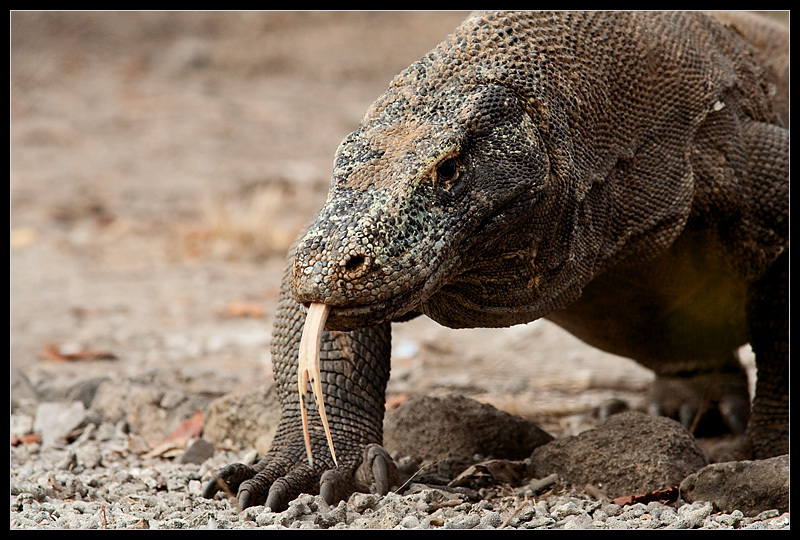 Factoid: A lone female Komodo Dragon can lay viable eggs without copulating with a male. The young, in turn, are able to produce their own offspring, giving rise to a new colony of Komodo Dragons.